With only 10 days to go of this 30dayblogchallenge, I really want to challenge my readers in the things that they can do with their mobile device whether it be a smartphone or a tablet. Today, it’s about taking notes and how this can be used for a variety of tasks. It depends on how tired my hands are (after suffering a hand injury back in 1995) whether I type or I handwrite my notes on my iPad. Earlier in the blog challenge, I mentioned styluses and I am looking forward to buying the Evernote ‘Adonit Jot Script’ which will be shipping in 4-6 weeks. One of the requests that I received last week when I was in Bendigo was to find some apps that the volunteers could use to take notes during a phone call, rather than loose bits of paper (this is valuable in any business) and being able to find those notes later on by searching for key words. 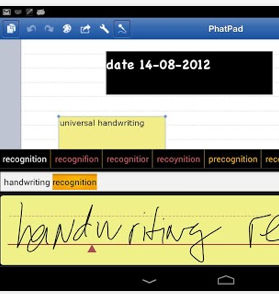 If you are looking for handwriting apps, make sure they have a palm rest feature included within the app (so that you are not wasting time trying to erase text where your palm has been resting. Make sure there are plenty of export options such as to Evernote, Dropbox, Google Drive, WebDav and email to send your files (and in different formats). If you can have the option to also import information, this is always a bonus and my first preference when looking at apps. If you are are left-handed, check to see whether these apps support left-handed writers. Tip: In a lot of these apps that convert handwritten notes into text you will have to train the app to recognise your handwriting. This app has the in-app purchase to create searchable text via your handwriting ($1.99). 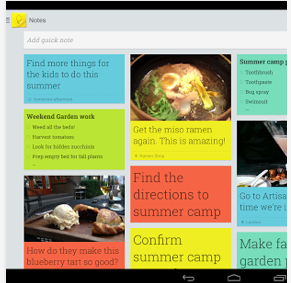 The app also features a web browser so you can add content/drag images across into your notes. It also allows you to open up your notebooks in the web browser to add research notes. It includes the ‘palm’ option as well as close up writing. Most of these handwriting apps are not cheap ($9.00 and upwards) and so always check out the user reviews first before purchasing (or sometimes there is a ‘Lite’ version and try that first). This app converts handwritten text into typed text and will improve over time the more you use this app. A great feature of this app is the ability to use shorthand and even further refine the user dictionary and autocorrector. This app is developed by the same company as Dragon Dictation which I previously listed in Day 5 of the 30 Day Blog Challenge. PaperPort Notes allows you take both typed and handwritten notes. The integration of Dragon voice recognition means that you don’t have to go to another note taking app if you would like to add audio recordings (Dragon voice recognition is one of the best on the market in my personal opinion). Annotation of documents is possible and exporting to all major cloud based services is also included. This app does sync with Evernote which definitely makes it high on my list of favourite apps. It has a palm rest and various types of ‘paper templates’ that you can use to take notes on. (Premium users get access to all of the papers, otherwise it is an in-app purchase). When searching for text within Evernote, it recognises your handwriting (just like it would typed text). This makes it a powerful feature especially if you use both typed and handwritten text in your business. This is a great app for Android users as you can type notes, add photos and convert voice notes into Text. There is also the ability to take checklists (perfect for when you need to set agendas for staff or board meetings). These notes are then all synced with your Google Drive. Even though I have talked about Notability before, it is a fantastic app and great for taking notes as you can add voice, drawings, diagrams and ‘close up writing mode’ where you can write much smaller and this is added to the main note taking area so you can fit more on the page. Today, is going to be a day focused on writing up my business vision for 2014 and all the exciting projects that I have planned for Tech Coach HQ. Look forward to tomorrow, although as it’s a special day (my birthday) for Tech Coach HQ, not sure how much writing is going to get done. Always remember, to take things ‘one byte’ at a time.